When Alex Cooper was many years old, life was pretty ordinary in the sleepy suburban town and nice Mormon family. At church as well as home, Alex was taught that God were built with a plan for everyone. But something was gnawing at her that made her feel different. These feelings exploded when she met Yvette, a lady who made Alex feel alive in the new way, along with whom Alex would quickly fall madly in love. Alex knew she was holding a secret that can shatter her family, her church community, and her life. Yet once this secret couldn’t be hidden any more, she said parents she was gay, and also the nightmare began. She was driven from her home in Southern California to Utah, where, against her will, her parents handed her up to fellow Mormons who promised in order to save Alex from her homosexuality. For eight harrowing months, Alex happened captive within an unlicensed “residential treatment program” modeled about the many “therapeutic” boot camps scattered across Utah. Alex was physically and verbally abused, and a lot of days she was made to stand facing a wall wearing a huge backpack packed with rocks. Her captors used faith to punish and terrorize her. With the help of a separate legal team in Salt Lake City, Alex eventually escaped and created legal history in Utah by winning the authority to live within the law’s protection being an openly gay teenager. Alex is just not alone; the headlines keep splash stories about gay conversion therapy and rehabilitation centers that advertise to “save” teenagers using their sexuality. Saving Alex is usually a courageous memoir that tells Alex’s story with the idea that it will bring awareness and justice to the present important issue. A bold, inspiring story of just one girl’s fight for freedom, acceptance, and truth. 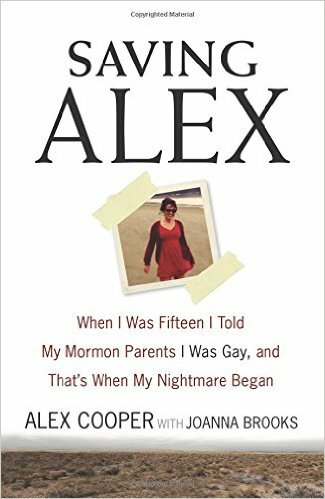 This entry was posted in Gay & Lesbian and tagged and That's When My Nightmare Began, Saving Alex: When I Was Fifteen I Told My Mormon Parents I Was Gay.